YOU SHALL NOT BE FRIGHTENED OF THEM, FOR THE LORD YOUR GOD IS AMONG YOU, A MIGHTY GOD AND AWESOME. Our teaching in Torah, The Law of Moses will continue from the words of Deuteronomy 7.16-26. AND THE TITLE OF OUR MESSAGE IS, YOU SHALL NOT BE FRIGHTENED OF THEM, FOR THE LORD YOUR GOD IS AMONG YOU, A MIGHTY GOD AND AWESOME. And with that said, let’s read Deuteronomy 7.16-26. DEUTERONOMY 7.16-18 When I read these Passages of THE LORD GOD ALMIGHTY promising The Children of Israel that they would consume and destroy the Canaanites whom The LORD will deliver to them, and that Israel should not pity them, nor serve their gods because the Canaanite gods would be a trap that would lead The Jewish People astray to serve Canaanite gods. Thus removing GOD’S People from THE LORD THEIR GOD, THE GOD OF ISRAEL, and bringing GOD’S Judgment upon them. And The LORD GOD saying to The Children of Israel, If you shall say in your heart, these nations are more than I. How can I drive them out and possess their land? God said, You shall not be afraid of them, but remember what THE LORD YOUR GOD did to Pharaoh, and to all Egypt. GOD destroyed Egypt and killed huge numbers of Egyptians because of their evil treatment of His Chosen People. Therefore GOD gave The Jewish People confidence. He guaranteed victory for His People. And I was thinking as I read these Scriptures, Were The Children of Israel aware of The Great Promise and Prophesy that GOD made with Abraham some eight hundred years earlier? That He, THE LORD GOD ALMIGHTY would give The Children of Israel the Land of Canaan from a river in Egypt to the Euphrates River for their own Land that would be called The Land of Israel? And, yes, The Children of Israel were well aware of GOD’S promise to bring them again to the land of Canaan. But this time to drive the Canaanites out to possess their land. GOD’S decision to give The Jewish People the land of Canaan from The River of Egypt to The Euphrates River was made before the Creation. GENESIS 15.13 GOD said to Abram some eight hundred years before He led the Children of Israel from Egypt to the land of Canaan to conquer and possess it, Know this for certain that your descendants, (The Children of Israel) will be strangers in a land that is not theirs, (Egypt) and shall serve them, and they shall afflict your people for four hundred years. GENESIS 15.14 And after four hundred years of slavery, GOD said, He will Execute Judgment upon the Egyptians (According to Torah, GOD’S Law of Moses). And after the four hundred years of slavery, The Children of Israel will come out with great wealth. GENESIS 15.15 And GOD told Abram in His Prophesy that he would die, and go to his fathers in peace, and be buried at a good old age. Abraham was one hundred and seventy five years old when he died. And Abraham is in Heaven. GENESIS 15.16 But in the fourth generation, that is after your people have suffered four hundred years of slavery at the hands of the Egyptians, They will come here again to Canaan because the iniquity of the Amorites is not yet complete. Abram and his wife Sarai were living in Canaan at the time GOD spoke this Prophesy to him. Amorites are used as a general term for the Canaanite nations. INIQUITY in Hebrew, as in the INIQUITY of the Amorites, is AH’VONE meaning, Perversity, Evil, Sin, and Punishment. That is the reason GOD led The Children of Israel to Canaan to drive the Canaanites from their land, and possess it, that GOD says is the glory of all lands. GENESIS 15.17 And when the sun went down, and it was dark, GOD caused a smoking furnace, and a burning lamp, perhaps a burning torch to pass between the divided pieces of the animals that were sacrificed to establish this Covenant of GOD with Abram and The Jewish People. GENESIS 15.18-21 In the same day, GOD made a Covenant with Abram, saying, Unto your Descendants, I have given this land from The River of Egypt to The Euphrates River. IF THE PEOPLE OF THE UNITED STATES OF AMERICA, AND ALL NATIONS WOULD FOLLOW THE GOD OF CREATION, LIVING BY EVERY WORD HE SPEAKS IN THE BIBLE INCLUDING HIS SPOKEN WORD OF THE LAW OF MOSES, THERE WOULD BE NO SCHOOL SHOOTINGS, AND EVIL WOULD DISAPPEAR. BUT SO MANY BIBLE TEACHERS OPPOSE TORAH, GOD’S LAW OF MOSES. DISRESPECTING GOD’S LAWS, TEACHINGS AND INSTRUCTIONS THAT ARE WRITTEN IN THE LAW OF MOSES. TEACHING THAT GOD’S LAW IS ABOLISHED. KNOWING FROM THE BIBLE THAT THEY TEACH FROM THAT THE WORD OF GOD NEVER CHANGES OR ENDS. THEREFORE THOSE BIBLE TEACHERS AND THOSE WHO FOLLOW THEM DIS GOD. THEY DISRESPECT GOD, AND DISOBEY THE GOD OF CREATION. AND THEY IGNORE GOD. BRINGING JUDGMENT UPON THE PEOPLE SUCH AS SCHOOL SHOOTINGS AND THE OTHER EVILS. ISAIAH 40.8, MALACHI 3.6, 1 JOHN 3.4, ISAIAH 13.9, ISAIAH 24.4-6, ISAIAH 26.21, MATHEW 7.21-23, HEBREW BIBLE PSALM 40.9, CHRISTIAN BIBLE PSALM 40.8, ROMANS 2.13, ROMANS 3.31, ROMANS 8.4, ROMANS 10.5, JAMES 2. 21,22,25, 1 PETER 1.23-25, GENESIS 2.15-17, GENESIS 3.1-6, DEUTERONOMY 28.1-68, ETC., ETC., ETC. DEUTERONOMY 7.18 You shall not be afraid of them, but you shall remember what THE LORD YOUR GOD did to Pharaoh and to all Egypt. WHEN YOU LIVE YOUR LIFE BY THE WORD OF GOD AND OBEY HIS LAW OF MOSES THAT IS ALSO THE WORD OF GOD, GOD SAYS TO YOU, YOU SHALL NOT BE AFRAID, FOR THE LORD YOUR GOD WILL ALWAYS PROTECT YOU. THAT IS GOD’S PROMISE TO YOU. BECAUSE YOU LIVE BY THE WORD OF GOD. YOU LIVE BY HIS LAW OF MOSES, AND YOU HAVE FAITH AND ATONEMENT IN THE MESSIAH YESHUA. ISAIAH 43.7 EVERYONE WHO IS CALLED BY MY NAME, EVERYONE WHO IS CALLED BY THE LORD GOD ALMIGHTY, EVERYONE WHO IS OBEDIENT TO GOD, OBEYING HIS WORD AND HIS LAW OF MOSES, AND HAS ATONEMENT IN THE MESSIAH YESHUA, GOD HAS CREATED YOU FOR HIS GLORY, AND HAS FORMED YOU, AND MADE YOU HIS OWN. DEUTERONOMY 7.19 THESE ARE COMFORTING WORDS, NOT ONLY FOR THE CHILDREN OF ISRAEL, BUT FOR ALL GOD’S PEOPLE WHO READ WHAT GOD SAYS IN THE BIBLE, AND OBEY HIS EVERY WORD. AND BELIEVE IN ONE GOD WHO IS GOD ALMIGHTY, HA SHEM, ELOHIM, YESHUA THE MESSIAH. HEBREW BIBLE ISAIAH 9.5, CHRISTIAN BIBLE ISAIAH 9.6, JOHN 8.58, JOHN 14.9, ETC. GOD SAID TO THE CHILDREN OF ISRAEL THROUGH HIS SERVANT MOSES, YOU SAW THE CALAMITIES WITH YOUR OWN EYES, AND THE SIGNS AND WONDERS, AND THE MIGHTY HAND AND THE STRETCHED OUT ARM BY WHICH THE LORD YOUR GOD BROUGHT YOU OUT. SO SHALL THE LORD YOUR GOD DO TO ALL THE PEOPLE OF WHOM YOU ARE AFRAID. DEUTERONOMY 7.20-21 WHEN THE JEWISH PEOPLE WERE FREED FROM THE GERMAN DEATH CAMPS AFTER WORD WAR 2 WHERE SIX MILLION JEWS WERE KILLED BY THE NAZIS, AND WHEN MANY JEWISH PEOPLE WHO SURVIVED CAME TO ISRAEL TO MAKE THEIR HOME, THEY WERE NOT THE MIGHTIEST ARMY IN THE WORLD. BUT RATHER THEY WERE LIKE THE JEWISH SLAVES WHO CAME OUT OF FOUR HUNDRED YEARS OF EGYPTIAN SLAVERY. AND WHEN THE ARAB ARMIES ATTACKED ISRAEL IN 1948 WHEN ISRAEL DECLARED ITS INDEPENDENCE, GOD STOOD WITH HIS JEWISH PEOPLE AS HE ALWAYS DOES. AND THE VALIANT JEWISH FIGHTERS ALONG WITH THE LORD THEIR GOD DEFEATED THOSE ARAB ARMIES. BECAUSE GOD STANDS WITH HIS PEOPLE AND PROTECTS THEM. AND GOD WILL ALWAYS STAND WITH YOU AND PROTECT YOU WHEN YOU ARE A CHILD OF GOD, DOING WHAT GOD SPEAKS IN THE BIBLE. AND OBEYING ALL HIS LAWS THAT ARE WRITTEN IN THE LAW OF MOSES. KNOW THAT EVERYTHING YOU ARE TAUGHT BY MAN MUST AGREE WITH TORAH, THE LAW OF MOSES. AND WHEN YOU FOLLOW THE LAW OF MOSES AND HAVE FAITH IN THE MESSIAH YESHUA FOR YOUR ATONEMENT, GOD SAYS, YOU SHALL NOT BE FRIGHTENED OF THEM, WHOEVER THEY MAY BE WHO THINK OF CAUSING YOU TROUBLE. FOR THE LORD YOUR GOD IS WITH YOU, A MIGHTY GOD AND AWESOME. AND TERRIBLE TO HIS ENEMIES. DEUTERONOMY 7.22-23 EVERY WORD THAT GOD SPEAKS IS LAW, AND EVERY WORD GOD SPEAKS IS HIS PROMISE THAT HE ALWAYS KEEPS. ISRAEL TODAY IS A SMALL BUT MIGHTY NATION. HAVING ONE OF THE GREATEST ARMIES AND AIR FORCES IN THE WORLD. AND ISRAEL HAS GOD. THE MIGHTY AND AWESOME GOD. BUT IN THE HEART OF THE JEWISH PERSON IS PEACE AND NOT WAR. BUT MANY OF THE NATIONS, BECAUSE OF A DEMONIC SPIRIT SEEK TO DESTROY AND ELIMINATE ISRAEL AND THE JEWISH PEOPLE FROM OFF THE FACE OF THE EARTH. BUT THAT WILL NEVER HAPPEN. RATHER THE ENEMIES OF ISRAEL WILL BE DESTROYED, AND IN TIME DESTROYED FOREVER. DEUTERONOMY 7.25 EVERY IDOL AND EVERY GRAVEN IMAGE IS AN ABOMINATION TO GOD. FOR GOD TOLD THE CHILDREN OF ISRAEL WHEN THEY POSSESSED THE LAND OF CANAAN, THE GRAVEN IMAGES OF THEIR gods YOU SHALL BURN WITH FIRE. YOU SHALL NOT DESIRE THE SILVER OR GOLD THAT IS ON THEM, NOR TAKE IT, LEST YOU ARE TRAPPED BY IT, FOR IT IS AN ABOMINATION TO THE LORD. THINK ON THOSE WORDS FOR A MOMENT THAT GOD SPOKE TO HIS PEOPLE. BECAUSE OCCASIONALLY WE SEE IMAGES OF gods IN THIS COUNTRY. DEUTERONOMY 7.26 NEITHER SHALL YOU BRING AN IDOL THAT GOD CALLS AN ABOMINATION, OR ANYTHING ON IT INTO YOUR HOUSE LEST YOU WILL BE A CURSED THING LIKE IT. BUT YOU SHALL UTTERLY DETEST IT, FOR IT IS A CURSED THING, THE LORD YOUR GOD SAYS. GOD IS A JEALOUS GOD. AND WE KNOW WHAT JEALOUS MEANS. FOR GOD SAYS, YOU SHALL HAVE NO OTHER gods BEFORE ME. FOR I THE LORD YOUR GOD AM A JEALOUS GOD VISITING THE INIQUITY OF THE FATHERS UPON THE CHILDREN TO THE THIRD AND FOURTH GENERATION OF THEM THAT HATE ME. ADD TO THAT, GOD SAYS, FALSE gods AND IDOLS CAUSE PEOPLE TO STRAY FROM HIM. THEREFORE CHOOSE LIFE. BE A FOLLOWER OF GOD. THE MIGHTY GOD, AND AWESOME. Posted on February 25, 2018 February 26, 2018 Categories Shabbat MessageLeave a comment on YOU SHALL NOT BE FRIGHTENED OF THEM, FOR THE LORD YOUR GOD IS AMONG YOU, A MIGHTY GOD AND AWESOME. Our teaching from Torah The Law of Moses will continue from Deuteronomy 7.11-15. AND THE TITLE OF OUR MESSAGE IS, THE OPEN SECRET TO BE LOVED AND BLESSED BY GOD. And with that said, let’s read Deuteronomy 7.11-15. DEUTERONOMY 7.11 These are Words that GOD Commanded Moses to speak to The Children of Israel. GOD COMMANDS HIS PEOPLE TO KEEP THE COMMANDMENTS, AND THE STATUTES, AND THE JUDGMENTS WHICH GOD COMMANDS YOU THIS DAY TO DO THEM. THE HEBREW WORD FOR KEEP, AS IN, YOU SHALL THEREFORE KEEP THE COMMANDMENTS, AND THE STATUTES, AND THE JUDGMENTS WHICH GOD COMMANDS YOU THIS DAY TO DO THEM IS, SHAH’MAR. SHAH’MAR MEANS TO HEDGE ABOUT AS WITH THORNS, GUARD AND PROTECT, AND ATTEND TO. THEREFORE GOD SAYS TO HIS PEOPLE, GUARD HIS COMMANDMENTS, HIS STATUTES, AND HIS JUDGMENTS WITH EVERY OUNCE OF STRENGTH YOU HAVE. AND ATTEND TO THEM. APPLY YOURSELF, AND PAY ATTENTION TO THAT WHICH GOD COMMANDS YOU. AND DO THEM. DO NOT LET ANYONE RIP THEM AWAY FROM YOU WITH THEIR FALSE TEACHING THAT GOD’S LAWS WRITTEN IN THE LAW OF MOSES ARE NO LONGER IN EFFECT. GOD’S Commandments and His Statutes are His Laws Written in The Law of Moses. And GOD’S Judgments are His Decisions, Verdicts, Penalties, and Justice according to His Law of Moses. IT IS IMPORTANT TO UNDERSTAND THAT GOD’S COMMANDMENTS, STATUTES AND JUDGMENTS ARE NOT ONLY FOR JEWISH PEOPLE. THEY ARE FOR EVERYBODY. ESPECIALLY THOSE WHO DESIRE TO BE LOVED AND BLESSED BY GOD. THAT IS THE OPEN SECRET ON HOW TO BE LOVED BY GOD, AND BLESSED BY GOD. AND THE ONLY WAY TO ACCOMPLISH THAT IS BY KEEPING GOD’S COMMANDMENTS, HIS STATUTES AND HIS JUDGMENTS ALONG WITH YOUR FAITH IN MESSIAH YESHUA FOREVER. THE HEBREW WORD TANACH IS FOR TORAH, NEVIIM, AND KETUVIM. FOR THE LAW, PROPHETS, AND WRITINGS. AND YOU MUST ALSO KNOW THAT THIS TANACH, THE OLD TESTAMENT IS THE FOUNDATION OF THE ENTIRE BIBLE FROM GENESIS THROUGH REVELATION. AND THOSE WHO TEACH THAT THE NEW TESTAMENT HAS REPLACED THE OLD TESTAMENT TEACH FOOLISHNESS. IN DEUTERONOMY 28, MESSIAH YESHUA WHO IS GOD ALMIGHTY TEACHES THE BLESSINGS FOR OBEYING HIS COMMANDMENTS WHICH ARE COLLECTIVELY HIS LAW OF MOSES, AND THE CURSES FOR DISOBEYING HIS COMMANDMENTS. DEUTERONOMY 28 IS CRITICAL TO READ AND FEAR. THE WORDS OF DEUTERONOMY 7.12, LIKE ALL THE WORDS OF THE OLD TESTAMENT APPLY TO GENTILES AS WELL AS TO JEWISH PEOPLE. GOD SAYS IN THIS VERSE, WHEREFORE, IT SHALL COME TO PASS IF YOU OBEY THESE JUDGMENTS, AND KEEP AND DO THEM, THAT THE LORD YOUR GOD SHALL KEEP UNTO YOU THE COVENANT AND THE MERCY WHICH HE SWORE TO YOUR FATHERS. AND GOD’S COVENANT BRINGS GREAT MERCY, BLESSINGS AND LOVE UPON THOSE WHO OBEY HIM. OBEYING HIS EVERY WORD WRITTEN IN THE BIBLE FROM GENESIS THROUGH REVELATION. THAT IS THE OPEN SECRET TO BE LOVED AND BLESSED BY GOD. Adoption, according to Webster’s Dictionary, is a word that means, To take and raise the child of others as one’s own child, specifically by a formal legal act. WHEN GOD TOOK ABRAHAM OUT FROM THE GENTILES TO BE THE FATHER OF THE JEWISH PEOPLE, THE LORD BROUGHT UP ABRAHAM AND THE JEWISH PEOPLE IN THE WORD OF GOD. AND GOD MADE THE JEWISH PEOPLE HIS CHOSEN PEOPLE, HOLY TO THE LORD THEIR GOD, AND SPECIAL TO GOD. AND THE PEOPLE WHOM GOD SET HIS LOVE UPON. ON THE OTHER HAND, NOT BEING ADOPTED BY GOD IS HAVING NO HOPE, AND WITHOUT GOD IN THE WORLD. BEING ADOPTED BY GOD IS BEING BUILT UPON THE FOUNDATION OF GOD, AND ETERNAL LIFE. THE FOUNDATION OF GOD IS THE WORD OF GOD WRITTEN IN THE OLD TESTAMENT AND THE NEW TESTAMENT THAT INCLUDES THE LAW OF MOSES, THE PROPHETS AND THE MESSIAH YESHUA, THE CHIEF CORNERSTONE. KNOWING AND BELIEVING THAT THE WORD OF GOD THAT INCLUDES GOD’S LAW OF MOSES NEVER CHANGES OR ENDS. AND KNOWING AND BELIEVING THAT MESSIAH YESHUA IS GOD ALMIGHTY, HA SHEM ELOHIM, THE FATHER. THEREFORE GENTILES CERTAINLY CAN BE ADOPTED BY GOD, BECOMING PART OF GOD’S CHOSEN PEOPLE, BEING LOVED AND BLESSED BY GOD, IF YOU OBEY GOD. BEING LOVED AND BLESSED BY GOD DOES NOT HAPPEN BY REJECTING THE LAW OF MOSES. NOR BY REJECTING GOD’S SABBATH ON THE SEVENTH DAY OF THE WEEK SATURDAY. NOR BY REJECTING GOD’S FESTIVALS. NOR BY REJECTING GOD’S FOOD LAWS. NOR BY BELIEVING THAT GOD IS A TRINITY OF THREE DIFFERENT GODS. NOR BY BELIEVING THAT JESUS ENDED THE LAW OF MOSES. NOR BY BELIEVING THAT THE NEW TESTAMENT REPLACED THE OLD TESTAMENT. NOR BY BELIEVING THAT CHRISTIANITY HAS REPLACED THE JEWISH PEOPLE AS GOD’S CHOSEN PEOPLE. BEING LOVED AND BLESSED BY GOD HAPPENS WHEN YOU LIVE YOUR LIFE AS THE SHEMA READS IN DEUTERONOMY 6.4 AND MARK 12.29. HEAR O ISRAEL, THE LORD OUR GOD, THE LORD IS ONE. MEANING, HEAR WHAT GOD SAYS, AND DO IT. AND THERE IS ONLY ONE GOD. BEING LOVED AND BLESSED BY GOD COMES BY OBEDIENCE TO GOD’S WORD WRITTEN IN THE BIBLE THAT IS LAW FOREVER. IT IS WRITTEN FOR EVERYONE TO SEE, BUT IT IS AND OPEN SECRET. WHEN GOD SPEAKS, EVERY WORD HE SAYS IN THE BIBLE IS LAW. AND THE LAW MUST BE OBEYED. EPHESIANS 2.11-12 YOU GENTILES IN THE PAST, PAUL WRITES, WERE WITHOUT MESSIAH. YOU WERE ALIENATED, THAT IS, YOU TURNED AWAY FROM THE JEWISH CITIZENSHIP OF ISRAEL. AND YOU WERE STRANGERS FROM GOD’S COVENANTS OF PROMISE, HAVING NO HOPE, AND WITHOUT GOD IN THE WORLD. EPHESIANS 2.13 BUT NOW IN MESSIAH YESHUA, YOU WHO IN TIME PAST WERE FAR FROM GOD BUT ARE NOW MADE NEAR BECAUSE OF THE BLOOD OF THE JEWISH MESSIAH YESHUA. EPHESIANS 2.14 NOW, MESSIAH IS YOUR PEACE WHO HAS MADE BOTH BIBLE BELIEVING GENTILES IN MESSIAH AND THE JEWISH PEOPLE ONE. BECAUSE MESSIAH HAS BROKEN DOWN THE MIDDLE WALL OF PARTITION. BUT NOW, PAUL WRITES, YOU GENTILES LIVE BY THE WORD OF GOD, AND TORAH, THE LAW OF MOSES. AND YOU HAVE FAITH IN THE JEWISH MESSIAH YESHUA FOR ATONEMENT. AND YOU BELIEVE THAT MESSIAH YESHUA IS THE ALMIGHTY GOD, THE CREATOR OF HEAVEN AND EARTH. THEREFORE MESSIAH YESHUA IS NOW YOUR PEACE. EPHESIANS 2.15 NOW THAT YOU LIVE BY THE WORD OF GOD THAT INCLUDES GOD’S TORAH, HIS LAW OF MOSES, AND KNOWING THAT MESSIAH IS GOD ALMIGHTY, MESSIAH HAS BROKEN DOWN THE MIDDLE WALL OF PARTITION, THE LAW OF COMMANDMENTS THAT WERE AGAINST YOU. BECAUSE IN THE PAST YOU REJECTED GOD, HIS WORD AND HIS LAW, THEREFORE LIVING A GODLESS LIFE. BUT NOW YOU ARE ONE WITH GOD. AND NOW THAT YOU LIVE BY TORAH AND HAVE MESSIAH AS YOUR ATONEMENT, MESSIAH YESHUA HAS MADE IN HIMSELF ONE NEW MAN. AND YOU HAVE MADE PEACE WITH GOD. ONE NEW MAN IS JEW AND GENTILE LOVING GOD WITH ALL YOUR HEART, AND WITH ALL YOUR SOUL. FEARING THE LORD YOUR GOD, WALKING IN ALL HIS WAYS. AND KEEPING THE COMMANDMENTS OF THE LORD AND HIS STATUTES WHICH GOD COMMANDS YOU TO DO. AND HAVING ATONEMENT IN THE MESSIAH YESHUA. EPHESIANS 2.16 THEREFORE MESSIAH HAS RECONCILED BOTH JEW AND BIBLICAL BELIEVING GENTILES TO GOD BY HIS ATONING DEATH ON THE STAKE. HAVING KILLED THE ENMITY, THAT IS THE OPPOSITION THAT GENTILES AND EVEN CERTAIN JEWISH PEOPLE HAD TOWARD THE WORD OF GOD AND THE LAW OF MOSES. EPHESIANS 2.17 THE HEBREW WORD FOR PEACE IS SHALOM. 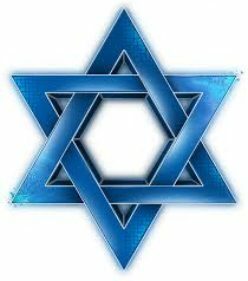 AND SHALOM MEANS PEACE, SAFETY, HAPPINESS, FRIENDLINESS, HEALTH, AND PROSPERITY, GOOD HEALTH AND PERFECT PEACE, AND REST, AND BEING WHOLLY WELL. AND MESSIAH YESHUA PREACHED PEACE TO YOU WHEN YOU WERE FAR OFF, AND TO THEM THAT WERE NEAR. NOW YOU ARE NO LONGER STRANGERS AND FOREIGNERS BUT FELLOW CITIZENS WITH THE SAINTS, THE JEWISH PEOPLE AND THE HOUSEHOLD OF GOD. EPHESIANS 2.20 NOW YOU ARE BUILT UPON THE FOUNDATION OF THE APOSTLES, AND THE PROPHETS, AND THE MESSIAH YESHUA HIMSELF THE CHIEF CORNERSTONE. THE APOSTLES, THE PROPHETS, AND THE MESSIAH YESHUA HIMSELF THE CHIEF CORNERSTONE ALL LIVED BY EVERY WORD OF GOD THAT INCLUDES TORAH, THE LAW OF MOSES. AND THEY ALL TAUGHT ACCORDING TO THE WORD OF GOD AND TORAH, THE LAW OF MOSES. EPHESIANS 2.21 AS A BODY OF TRUE BIBLICAL BELIEVERS IN THE MESSIAH YESHUA, WE ARE A HOLY TEMPLE IN THE LORD. BUT WE ARE NOT THE THIRD TEMPLE OR THE MILLENNIAL TEMPLE. EPHESIANS 2.22 IN MESSIAH YESHUA, WE ARE TOGETHER A DWELLING PLACE FOR GOD THROUGH THE HOLY SPIRIT. THEREFORE OBEDIENCE TO THE WRITTEN WORD OF GOD IS HOW TO BE LOVED AND BLESSED BY GOD. EPHESIANS 4.24 AND EPHESIANS 5.17 RIGHTEOUSNESS AND THE WILL OF GOD ARE OBEDIENCE TO GOD. OBEDIENCE TO HIS WORD. AND OBEDIENCE TO TORAH, HIS LAW OF MOSES. EPHESIANS 5.1 GOD NEVER ABOLISHED HIS LAWS THAT ARE WRITTEN IN THE LAW OF MOSES. NOR DID HE EVER TEACH A TRINITY OF THREE DIFFERENT GODS. AND BY LIVING FOR GOD, DOING THAT WHICH IS RIGHT ACCORDING TO HIS TEACHINGS, YOU WILL BE LOVED AND BLESSED BY GOD. DEUTERONOMY 7.14 IN FACT, WHEN YOU LIVE FOR GOD, DOING THAT WHICH IS RIGHT IN THE SIGHT OF GOD ACCORDING TO ALL HIS TEACHINGS IN THE BIBLE, AND NOT THE FALSE TEACHINGS OF SO MANY BIBLE TEACHERS, GOD WILL BLESS YOU ABOVE ALL PEOPLE. AND FOR THOSE WHO ARE MARRIED AND WANT CHILDREN, GOD WILL BLESS YOUR CHILDREN. AND GOD WILL BLESS EVERYTHING YOU DO WHEN YOU OBEY GOD’S COMMANDMENTS, HIS STATUTES AND HIS JUDGMENTS, AND HAVE ATONEMENT IN THE MESSIAH YESHUA. DEUTERONOMY 7.15 FOR THOSE WHO ARE SICK WITH DEADLY DISEASES, GOD HAS A PRESCRIPTION FOR YOU THAT DOES NOT COST MONEY, AND DOES NOT INVOLVE DRUGS. MESSIAH SAID, IT IS WRITTEN (IN DEUTERONOMY 8.3) MAN SHALL NOT LIVE BY BREAD/FOOD ALONE BUT BY EVERY WORD THAT PROCEEDS OUT OF THE MOUTH OF GOD. DO THAT AND YOU WILL BE LOVED AND BLESSED BY GOD.